A motor trips on overload. Visual and physical inspection reveals no abnormalities. There is no smell of burnt insulation, the load appears normal, the coupling is intact, ambient temperature is not above the nameplate specified value of 40 °C (104 °F). As expected, however, the motor is too hot to touch. The next obvious troubleshooting tactic is to measure the amperage the motor draws while running. Since a small increase in current flow to a motor produces a proportionately larger amount of heat, motor amperage exceeding nameplate values should be carefully investigated as a possible cause. These overload trips, though often caused by motor loading issues, can also indicate bearing failure, insulation breakdown or voltage unbalance. 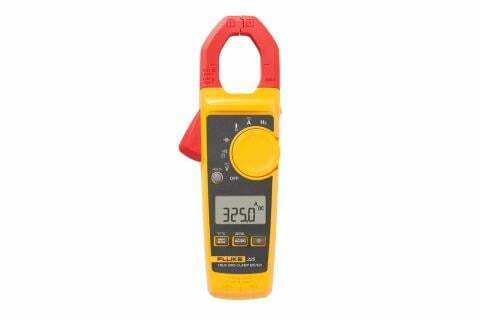 After you ensure that all safety requirements for working near energized components are satisfied, open the fuse disconnect door in preparation for using your clamp meter to measure current. Once again, a visual inspection reveals no obvious problems. You begin to clamp around a motor phase conductor at the bottom of a fuse—and now the problems begin. 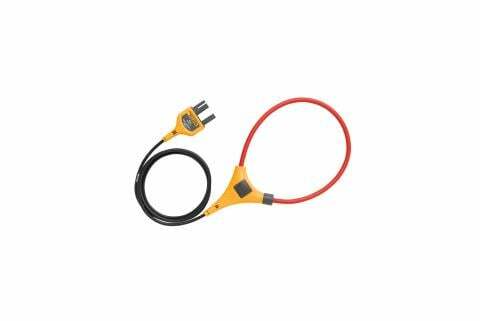 When you use a clamp meter it is necessary to clamp around only one phase conductor at a time. When current flows to a conductor it produces a magnetic field around the conductor. The more current, the stronger the magnetic field. 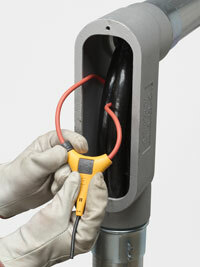 The magnetic field induces a voltage into the clamp portion of the meter. The meter reading will be proportional to the amount of voltage induced into the clamp. Therefore, reading the current flow through a conductor requires that only the magnetic field produced by that one conductor be induced into the clamp. Clamping around two or more conductors will cause the magnetic fields to cancel each other and the resultant reading, if not "zero," will be completely erroneous. So, what is the problem when clamping around only one conductor? Have you ever tried getting a clamp around a 10 AWG (American wire gauge) solid conductor with inadequate conductor length inside the box? Have you ever tried pulling away one 2 AWG conductor from two others in an attempt to get that clamp to fit? Sometimes two of the conductors can be reached fairly easily, but clamping around the third conductor may be difficult. In some cases, the clamp you are using may simply not be big enough to go around the conductor you need to measure. You may need to clamp around two conductors in parallel. Each set of measurements will produce its own unique problems. Safety is always a prime consideration. Even when you wear the appropriate shock and arc-flash protection, having to push and pull on live conductors is not an enjoyable task and can be dangerous. Conductors come loose from underneath terminals. Conductor insulation scraped off during installation can come in contact with the metal enclosure when clamping around conductors. The phase-to-ground fault can instantly escalate into a phase-to-phase arcing fault with potentially catastrophic arc-flash results. 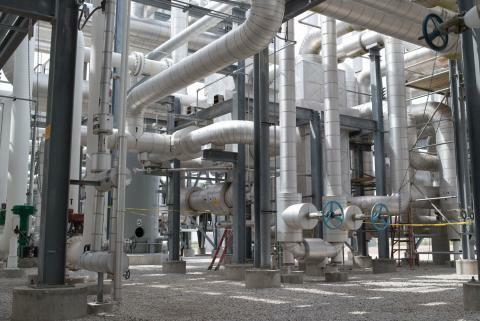 There are no guarantees anytime you are exposed to energized conductors and circuit parts. And, probing about those conductors with the clamp meter can only compound the problem. The solution to the above problems is a flexible clamp. Weaving a flexible clamp around a conductor means not pulling and tugging on it to move it from adjacent conductors. Whether dealing with the 10 AWG solid conductor or a 2 AWG (or larger) stranded conductor, installing the flexible clamp is simpler and unquestionably much safer. The problem has always been that flexible clamps were typically found only on equipment such as data loggers and power quality analyzers, and were not available for the standard clamp meter used by professionals in the field. Not true anymore, as Fluke now offers True RMS AC/DC clamp meters that utilize the iFlex™ flexible current probe. One model even offers remote display. 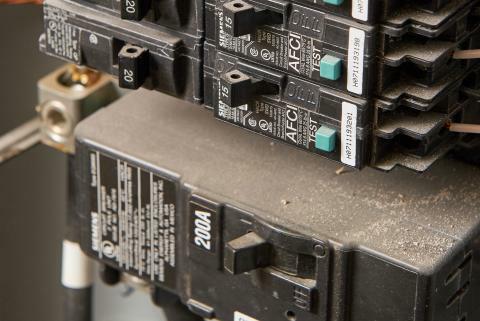 When an ac motor starts it will draw more current than its full load value on the nameplate. How much more current depends on the load on the motor when it starts and the code letter on the nameplate. Excessive starting torque requirements or low system voltages can result in excessive inrush current during start-up. Determining inrush current can be tough with a digital meter. Values change rapidly and determining the actual inrush value can be difficult. Min, max, average and inrush recording features of the Fluke models allow the meter to capture variations automatically. Also, electronics filter out noise and capture motor starting current exactly as the circuit protection sees it. That means what you see on the meter is the same value sensed by the overloads, time-delay fuses and inverse-time circuit breakers. Another problem is that inrush current values may exceed the maximum value read by the meter. For example, a 460 volt, 250 horsepower motor should draw no more than 302 amps at full load. Inrush currents for such a motor starting under full load may be 1,500 to 2,000 amps. 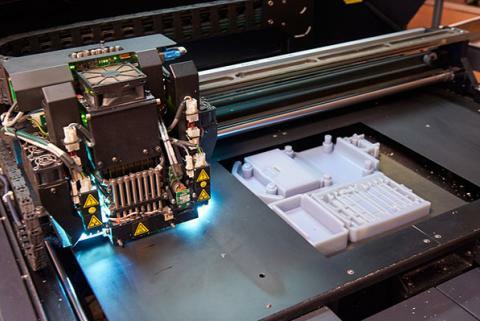 Determining the inrush value can be important in diagnosing motor overload problems. Obviously the meter must be capable of reading such values. 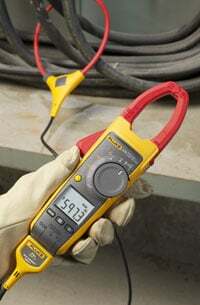 Most clamp meters read a maximum value of 400 amps. 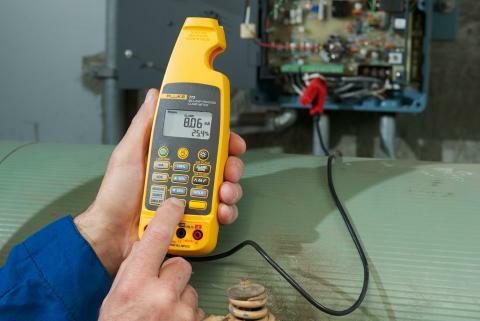 Some of the new Fluke clamp meters have a 1000 amp limitation with the fixed jaw and all have a 2500 amp maximum current measurement with the iFlex™. That means you can measure the running current on a 460 volt, 500 horsepower motor! Certainly not all clamp-on ammeter readings are taken on motors. Current readings must be taken on all types of nonlinear loads. Line side currents on uninterrupted power supply (UPS) systems and variablesystem drives (VFDs) must be measured. Lighting loads containing electronic ballasts, branch circuits supplying computers, printers and copy machines must all be measured. 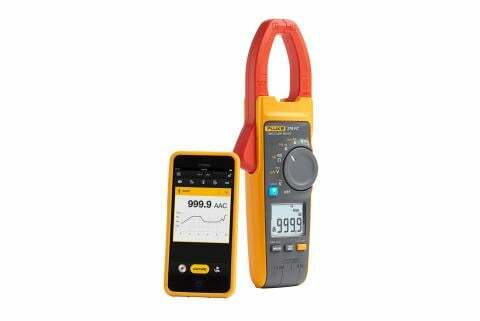 The new Fluke true-rms clamp meters feature a low pass filter, allowing for accurate readings on such nonlinear equipment.